Roaming costs are falling, and affordable deals are offered by Spark, Vodafone and other networks to cover mobile data use in a number of countries. Knowing what countries are 'in the plan' is essential - data use can quickly become exorbitantly expensive. Roaming plans have catches and pitfalls which can cost dearly - we explain what to watch out for in detail below. Plans offer different things, but overall, Vodafone offers flat-rate roaming in far more countries than Spark. The differences soon add up - if you're in Sweden, Vodafone offers 200 MB for $5, whereas Spark charges its customers $3 or $5 per MB. The difference is enormous. Finding the right plan comes down to where you are going, and how long you are going for. We have some suggested networks below for some example destinations. If in doubt, turn off your phone's data connection - you can't be charged or use up allowances if your phone isn't connected. Hit with a roaming bill and don't know what to do? Disclaimer: Roaming rates and country exclusions can change at any time - while we periodically keep this guide up to date, networks can adjust their prices, terms and conditions without notice, and we accept no liability for reliance placed on this guide. Before you decide on a roaming plan, ensure you understand the details of its pricing, coverage and limitations. The term ‘roaming' refers to using your phone while you're overseas. Roaming starts as soon as your phone connects to a network outside of New Zealand. In the past, New Zealanders travelling overseas were charged a significantly higher rate for using their phone to make calls or use the internet. However, things are getting better - Spark, Vodafone, 2degrees and Slingshot all offer fixed-price roaming plans which cover 20-70 countries, meaning you can use data without being uncertain of the cost. But, while this sounds like good news, there are a number of ways the unfamiliar can get caught out and stung with a big bill. Firstly, many countries are not covered in each network's plan - so you will pay the 'casual' rate, which can be as high as $10 for 1 MB of data. And, if you go beyond your roaming plan's allowance, you will be charged more. And to confuse things more, roaming plans and allowances run on New Zealand time - so if you have a 7-day plan, it doesn't run out at 11:59pm in the country you are in, but 11:59pm New Zealand time. In this guide, we take a closer look at the pros and cons of roaming plans, and how they operate. We don't compare roaming data plans with minutes and SMS allowances. We observed that adding these does not significantly affect the cost of a plan, and in many cases, there is no difference in the overall price. You don't need to buy a roaming plan if you are not planning to connect your phone to an overseas network. 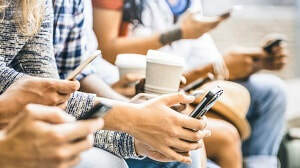 Many New Zealanders frequently travel around the world without a roaming plan, choosing instead to keep their data connections off and rely on local WIFI or using a local SIM. Both options mean you still get the benefits of being able to use apps, but no phone calls can be received - and for many people that's not a problem. What roaming plans, top-ups and add-ons does my network offer? No roaming plan is like the other. To make everything clear and highlight the best inclusive roaming schemes, take a look at the table below. If you want more detail about what each network offers, scroll down a bit further and we'll outline the roaming rates and plans offered by Spark, Vodafone and 2dgrees in more detail. Warning: The network plans mentioned below include a selection of popular countries which the roaming plan covers. If you're going further afield, your destination may not be covered. To avoid problems like big bills our service outage, check with your network to see what zone or band your destination(s) are classed as before deciding to buy a roaming pack. In some countries, where 1 MB can cost as much as $5 or $10, it will be cheaper to buy a local SIM or keep your data connection turned off. Who do roaming options apply to? Spark offers fixed-price roaming in around 35 countries around the world, which Spark calls 'Zone 2'. There is only one plan, the 'roaming data pack', which offers 1 GB of data which must be used within 7 days. 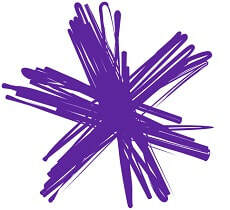 If you go over the allowance, you pay 'casual rates', or purchase another roaming data pack. Unlike Vodafone's roaming data pack, Spark offers half of the countries and is very limited within Europe. You won't be covered in Greece, the Netherlands, Portugal, Sweden and many more countries, and instead will be charged a hefty $3 per MB (monthly customers) or $5 per MB (prepay customers). Renewal: Roaming Data Packs are activated after first roaming use in eligible destinations, and will expire seven days after the next New Zealand midnight, after the first roaming use or full consumption of the pack inclusions. Our view: If you're sticking to Zone 2 countries while you travel, Spark's roaming package is more than sufficient, and cheaper than Vodafone's 7-day package. However, things get tricky if you're on a European trip which goes outside the 'Zone 2' countries - Spark will either become inconvenient, very expensive, or both. New Zealanders often find themselves in Denmark, Greece, the Netherlands, Norway, Portugal and Sweden, and these countries (and several others in Europe) are excluded on Spark's roaming data pack - instead, you will face $3 or $5 per MB data charges. 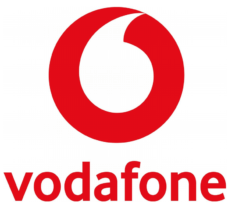 Vodafone offers roaming plans for both monthly 'On Account' plans, and Prepay. The number of countries included in the standard roaming plan exceeds 70, which is far superior to the plans offered by Spark, Slingshot and 2degrees. Australia: Australian data roaming for On Account and Prepay customers are covered in the plans below. $5/day (monthly customers only), using your current New Zealand plan's data, as well as minutes and TXT allowances. If you run out of data, Vodafone offers data top-ups: 500 MB for $12, 1 GB for $20 and 2 GB for $35. ​More details, including the 70+ countries covered, are outlined here. 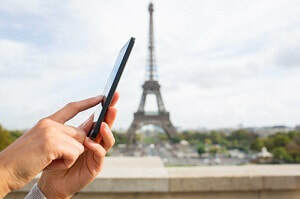 Data Plan Destinations include: 70+ countries, including Australia, Canada, most of Europe, and South America, China, Japan and India - the full list can be found here. Renewal: Roaming Add-Ons are valid until midnight NZ time. If you purchased the Daily Add-On before midnight NZ time, you will be able to use it until midnight NZ time the next day. If you purchased the Weekly Add-On before midnight NZ time, you will be able to use it for the next 7 full days (NZ time). Vodafone confirms via SMS when your bundle is due to expire. Casual rates (i.e. no plan): 50 cents per MB (Australia), $10 per MB (rest of world). ​Vodafone outperforms every other network with its list of 70+ countries, which make multi-country travel a lot easier if the destinations are included in the roaming plan. If you're a prepay customer and heading to one destination, Spark is slightly cheaper ($15 per 1 GB, vs Vodafone's $19). Vodafone's $5 daily plan offers the same allowances as a customer's existing monthly plan. Taking this option can work out cheaper if you want the freedom to use your normal data limit without worrying about a 1 GB plan limit. 2degrees offers New Zealand's most expensive global roaming plans, which compare unfavourably to Spark, Vodafone and Slingshot Mobile's offerings. ​Globetrotter Destinations include: Australia, Canada, China, Czech Republic, France, Fiji, Hong Kong, India (excluding Jammu & Kashmir), Ireland, Italy, Japan, Macau, Malaysia, Papau New Guinea, Samoa, Singapore, Spain, Taiwan, Thailand, Tonga, UK, USA and Vanuatu. Additional data: For included destinations, business and monthly customers pay $0.10 per MB, while prepay customers pay $0.50 per MB. Renewal: All 2degrees Roaming Packs are one-off and do not auto-renew, and days of use are based on NZ standard time. For example, if you purchase a Pack at 9:00am on 1 January NZ standard time the Pack is valid until 11:59pm on 8 January standard NZ time. 2degrees customers won't find much to write home about when it comes to these roaming plans. With around 23 countries included in the plan, it falls well below the countries offered by all other networks. When it comes to pricing, $55 for 1 GB of data is not competitive with Vodafone and Spark, who charge $19 and $15 respectively (although these are 7-days plans, and 2degrees' plan is 14 days). What does Slingshot mobile offer? 2degrees offers New Zealand's most expensive roaming plans, which compare unfavourably to Spark, Vodafone and Slingshot Mobile's offerings. Roaming Pack Destinations include: USA, Ireland, China, United Kingdom, Canada, Fiji, Italy, Nauru, Papua New Guinea, Samoa, Spain, Tonga, Vanuatu, American Samoa, Hong Kong, India, Indonesia, Japan, Saudi Arabia, Singapore, South Africa, South Korea, Switzerland, Thailand, Vietnam, France, Monaco and Qatar. Additional data: Not offered - customers need to purchase another global plan. Renewal: All Slingshot Roaming Packs are one-off and do not auto-renew, and days of use are based on NZ standard time. For example, if you purchase a Pack at 9:00am on 1 January NZ standard time the Pack is valid until 11:59pm on 8 January standard NZ time. Slingshot offers roaming plans with the longest duration (30 days) which can suit customers who want to make their data last over a month of travelling and can ration their use. The countries covered in Europe is limited when compared to the Vodafone roaming plan. When it comes to pricing, $28 for 1 GB of data is not competitive with Vodafone and Spark, who charge $19 and $15 respectively, although Slingshot's data is valid for 30 days. Vodafone makes it clear: If you purchased the daily Add-On before midnight NZ time, you will be able to use it until midnight NZ time the next day. If you purchased the weekly Add-On before midnight NZ time, you will be able to use it for the next 7 full days (NZ time). 2degrees makes it clear: The applicable number of days that a 2degrees Roaming Pack is valid for is based on NZ standard time. For example, if you purchase a Globetrotter Pack at 9:00am on 1 January NZ standard time, the Pack is valid for 14 days until 11:59pm on 15 January standard NZ time. "My Spark week-long plan was due to run out on Monday, so I happily used the remaining 400 MB of data by browsing while I was on a train from Edinburgh to London. Little did I know that the plan ran out on Monday midnight New Zealand time, not UK time, so my 400 MB of browsing stung me with a $20 bill as I no longer has a 'pack' to use". Additional MB data use is costlier than a plan, but if you're connecting in a country not covered by a plan, you take a huge risk. Lost in Oslo and can't find WIFI? Loading a Google map may take 10 MB, which will cost $30 on Spark's casual rates. If you have apps updating in the background, you could find yourself using 20 MB - Spark will add $60 to your phone bill for the privilege. "We were in Oslo about to leave for New Zealand. Our data plan has run out, and I didn't renew it as we were about to get on the plane. The hotel WIFI stopped working and I needed to buy an extra bag and print out the boarding passes to save money and time at the airport. I used my phone, thought nothing of it, and arrived back in Auckland with a $250 bill for excess data use for 70 MB of data. I would happily have paid $5 or $10 or even $15, but I thought $250 was a mistake - it wasn't". This means that if you don't have roaming activated, using the network you connect means you are 'legally agreeing to the charges' and will have to pay them when your bill comes. For example, if you land in Dubai, and get an SMS saying 'Welcome to Dubai, calls cost NZ$15/minute, data is $25/GB, SMS is $5 to send, free to receive...", this is exactly what you will pay. Between Spark and Vodafone, there are different roaming rates for the same country. For example, if you stop off in Dubai for five days, and use 1 GB of data, with a Spark roaming plan you will pay $20 or $15, depending on the plan you pick. If you are with Vodafone, which does not offer the UAE in its standard roaming plan, you would pay $250 (as it sells 200 MB of data for $50 as part of its 'Data Angel Overseas' package). But if you go prepay, Vodafone would charge an astonishing $10,000 for 1 GB. Unlike Vodafone, Spark doesn't offer all-inclusive roaming packages for customers in Austria, Belgium, Greece, Netherlands, Norway, Portugal or Sweden. If you're in any of those countries, you will pay a whopping $3 per 1 MB if you are a Pay Monthly customer, or $5 per 1 MB if you are a Prepaid customer. The lesson from this is to be 100% clear on what your roaming plan covers, and to make sure you get usage updates. Many providers offer a free TXT service to notify you when you've used 80% and 100% of your data. This means you will know exactly what you're spending and what you have left in your allowance. You may forget to hit airplane-model in the excitement of leaving New Zealand, but if you fly to Europe, or anywhere for that matter, you can incur some hefty bills. The same goes for cruises and sailboats. If you have data on, apps will connect and download, costing you money unless your plan covers the country the network is in. You can avoid this risk by setting your phone to airplane mode while flying, and being clear about what countries are covered in your plan (even if you don't plan to visit them). 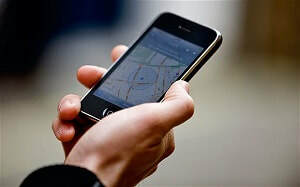 Guidance from English regularity organisations suggests that mobile phones will connect to the strongest network available, and users should be careful using their phone close to a border or when flying. It states that a mobile device, unless set in 'manual network selection mode', is designed to connect a customer to the strongest mobile network available. If you are out at sea or in the air, and your phone connects to a network that is not covered by your plan, you will be charged. So even if your plan covers Montenegro but somehow you connect to an Albanian network, you will be billed for whatever data you use. "I flew from Singapore to London, left on data, and picked up 'Welcome to' messages from Malaysia, Oman, Azerbaijan, Turkey, Romania and Belgium. Half of these countries were not on my roaming plan, so I got a $100+ bill. It wasn't a great way to start my holiday." Most networks have stopped offering in-flight roaming and instead direct you to the airline. It's a similar story for cruise ships as well. In any case, before connecting, make sure to check the costs if you’re taking a cruise or using In-flight roaming on the plane as they vary and will be different from your network's roaming rates. The easiest way to have zero roaming charges is to turn off your phone's data connection. You can never be charged if you're not connected. Plenty of free WIFI exists - hotels, cafes, bars and even on some airlines (Air New Zealand is one of them). Europe, Japan and America all have cheap and easy-to-activate prepaid SIM deals which are far more price competitive than New Zealand network roaming charges. In Europe, mobile network Lebara is everywhere and you can get a European-roaming plan for around £20 (~NZ$40) giving you 10GB. In Japan, 14-day unlimited data plans cost around US$80 (~NZ$120) which can be much cheaper than any NZ roaming deal. Best of all, you can continue to use your apps if you turn-off data on your current SIM, and use the local SIM for your data needs. What is the difference between mobile data and data roaming? Mobile data is what your phone uses to connect to the internet, i.e. the volume of MB or GB that is sent to the phone. 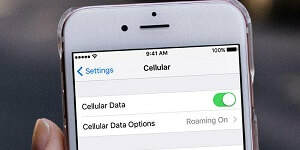 Data roaming is when you take your phone out of New Zealand and connect to a local network, such as Optus in Australia or T-Mobile in the USA. What should I do with my phone when travelling internationally? It's up to you - if you believe having access to mobile data wherever you are you will be useful, you can look at a roaming plan. If you think you can manage by only connecting to WIFI spots, then you can avoid a roaming plan. New Zealand networks make it easy to buy roaming at any time - usually an SMS message will activate it, so if you do urgently need data, plans with Vodafone or Spark start at $15. Do you get charged roaming when using WiFi? No, as long as your data connection is disabled. How do I avoid roaming charges? 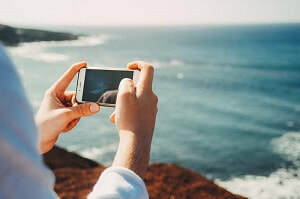 The best way to avoid roaming charges is to turn off the data connection on your phone, password protect it so if it gets lost or stolen no one can use data, rely on WIFI hotspots and/or buy a local SIM card which will usually offer better rates for data use. How do I know if my phone is roaming? Your phone will display an icon if it's data connection is on - it will also show the name of the network you are connected to, although each phone has different settings and needs to be individually managed. 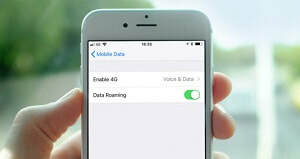 When should I use data roaming? That's entirely up to you - if you need to be 'available' via email or WhatsApp 24/7, then data roaming is probably essential. If you're going on holiday and can happily travel around without a constant connection, data roaming probably isn't necessary. 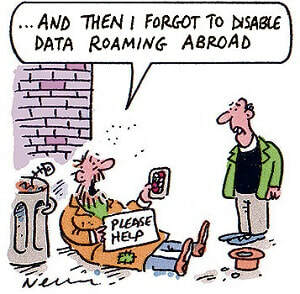 The reality is this - roaming charges 'out of plan' can be very high, and there is little option to avoid paying it. You may protest, but the position from the network is clear - you connected, you knew the charges, you used the service, you pay. Yet roaming remains contentious - many people question why roaming rates cost so much when other networks, outside of New Zealand, charge a lot lower. If you do feel as if you have been unfairly billed, you have the right to complain to your network who will consider your reasons for not wanting to pay the charges, and the merits of your claim overall. If you have any comments to make about roaming charges, please contact our research team.